There was time when I beat myself up pretty bad when I found unbelief getting the best of me but then over time it began to dawn on me that it was through unbelief my faith was becoming stronger. Faith not just in the LORD rescuing me but faith in His ever presence in my heart and life. Remember the fellow who admitted his unbelief? Apparently Jesus wasn’t bothered by the man’s unbelief instead He responded to what was in the man’s heart. He not only rescued the man from his unbelief but rescued his son as well. Jesus does that with us as well, He responds to what’s in our heart not what’s in our head! 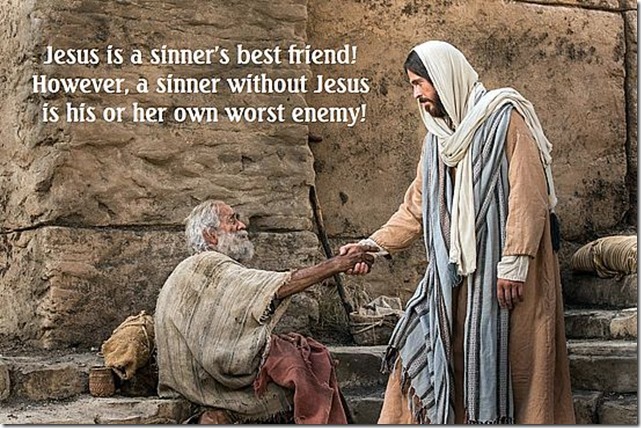 Jesus is a sinner’s best friend! However, a sinner without Jesus is his or her own worst enemy!